Don’t Miss Out on Our Low Prices. Register Now and Save! 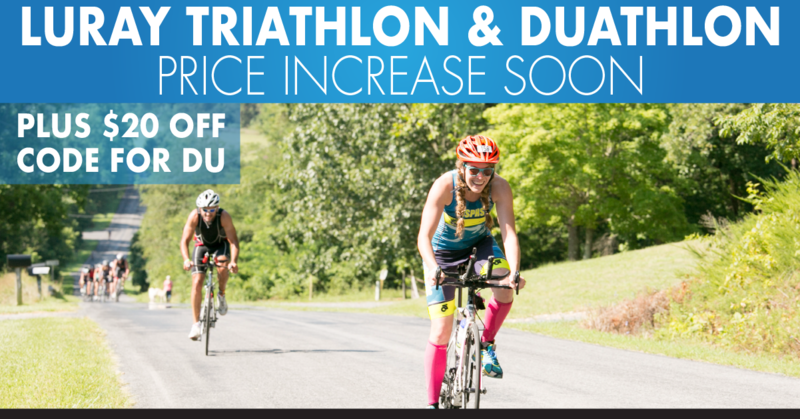 Price will increase March 1st for Luray Triathlon and Luray Duathlon. Plus we still have this SWEET Duathlon deal, making your savings even greater! !